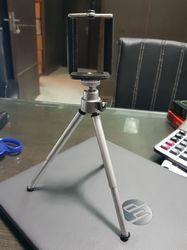 a) Tripod Stand :- Made of Steel Rod. Routine quality. b) Tripod Stand :- 6 x 4 rectangular shape black painted. c) Tripod Stand :- 8 x 4 rectangular shape black painted/powder coated. 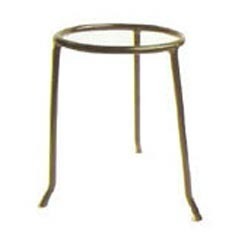 d) Tripod Stand :- 8 x 5 Round shape heavy pattern/powder coated. - Length: approximately 5 mtr. We are the leading organization actively occupied in providing an extensive series of Tripod For Video. This product is presented in numerous of specifications. We also manufacture Tripod stand used for Prop jack system. These give better stability to the props & also increases the load carrying capabilities of the staging props.